Harlow is the main large town near Stansted Airport. Several supermarkets can be found in and around Harlow town centre as wll as the Harvey Centre, Harlows main shopping centre. 250 shops, ranging from high street stores and designer outlets to smaller independent stores..
30 food outlets, ranging from small cafes and fast food to Chinese takeaways. What can I do near Stansted? “When a man is bored of London, he is bored of life”. This was true in the 18th century and still holds good today. Whether you want to ride the London Eye, try your hand at ice skating at one of the outdoor rinks put up especially for the Christmas period, go to a concert at the Royal Albert Hall or just do the tourist thing on an open topped bus, the capital city will not disappoint. So you have a bit of time to spend in London, where do you even start when it comes to seeing the iconic attractions!? The London Pass is full of inspiration as it gives you access to over 80 museums, tours and attractions as well as Fast Track Entry to them. You can even be combine it with a London Travelcard (additional fees apply). If that wasn’t enough to inspire you, you will also get a 160+ page guidebook packed with hints, maps and insights, so you won’t need to spend hours researching your trip. For a full price list, head to their website. Best known for being home to one of the leading universities in the world, Cambridge makes an ideal place for a day out. Whether you fancy trying your hand at punting on the River Cam followed by afternoon tea at Grantchester, attending choral evensong at King’s College Chapel or just wandering around the medieval streets and college grounds you will not be disappointed. There are plenty of interesting shops plus the prestigious Fitzwilliam Museum to keep visitors busy too. When a touch of retail therapy is called for, why restrict yourself to the High Street? Lakeside shopping centre in Essex has over 250 shops, 12 restaurants and a Vue cinema. Apart from all this, Lakeside has thought of everything to make the shopping experience trouble-free, from a Shopmobility centre for those with mobility problems, to identity wristbands for those worried about losing their children. For full details of what is on offer at Lakeside see the website. As if that were not enough, right next to Lakeside is a 22 acre lake offering all manner of water sports, from diving to kayaking. Now owned by English Heritage, Audley End is a 17th century country house in Essex, near Saffron Walden, which makes a splendid day out for anyone who enjoys visiting stately homes and gardens. The house offers something for all culture vultures, whether your interests lie in sumptuous interiors and works of art or in the newly restored Service Wing which gives a great insight into life below stairs in Victorian times. The Capability Brown gardens and lake are well worth exploring too. For full details see Audley End‘s website. For anyone interested in aviation history this outpost of the Imperial War Museum at Duxford, ten miles south of Cambridge, will make a great day out. It is Europe’s premier aviation museum and also boasts a huge collection of tanks, other military vehicles and naval exhibits. For further information on what is on, including the famous Duxford air show see the website. Please note, the “times allowed” stated above are a rough guide only and are completely dependant on traffic and weather conditions. Colchester Castle is a Norman built castle which is now used to house artefacts from Colchester’s long and colourful historyas the former Roman capital of Britain. The museum presents a timeline of Britain from the Iron Age up until the Civil War. Also on the grounds of Colchester Castle is the Hollytrees museum – a free museum containing a variety of items, chronicling domestic lives of the past. The Museum of Harlow tells the story of Harlow from pre-historic times until the present day. It does this by using artefacts from various eras in the town’s history – it is possible to touch some of these, and even try on costumes! 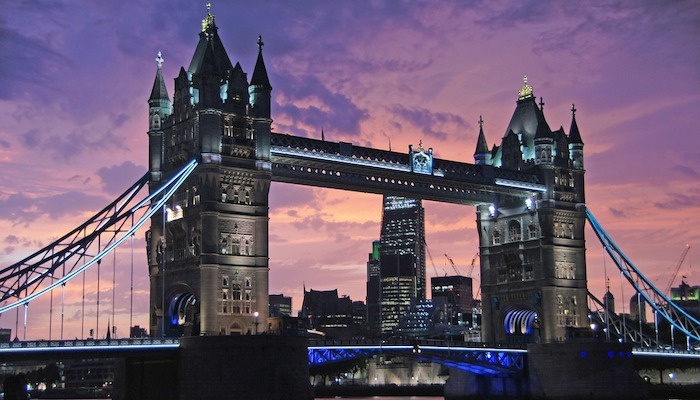 Golden Tours offer an exciting range of tour packages in and around London and the UK. Popular tours include; Windsor Castle, Roman Baths, Stonehenge, The Walking Beatles Street Tour, Warner Bros. The Making of Harry Potter Tour. Another very popular package is ‘The Total London Experience’ which offers a very exciting agenda, including; Entry to St. Pauls Cathedral (Quire included) and the Tower of London. Also includes tickets for the London Eye experience and a boat ride up the Thames. This Tour also provides free pick up service from many Central London hotels. One of London’s most famous landmarks, residence to the British Monarchy and also home to some fine tapestries and art work, Buckingham Palace is a must-see for visitors staying in London. For those not interested in the Royal Collections, pleasant walks can be had through the palace grounds. The Natural History Museum is one of the famous Kensington Museums. Learn all about everything natural, from dinosaurs to humans and Darwinism to geology. This massive museum covers a huge range of natural areas using hands on activities, fossils and lifelike displays. Other London Attractions include Madam Tussauds, the London Dungeon, the Tate Modern and Tower Bridge.